Is Your Business Facebook Verified? | ASTRALCOM - Content Strategy, Conversion Marketing and Customer Acquisition. 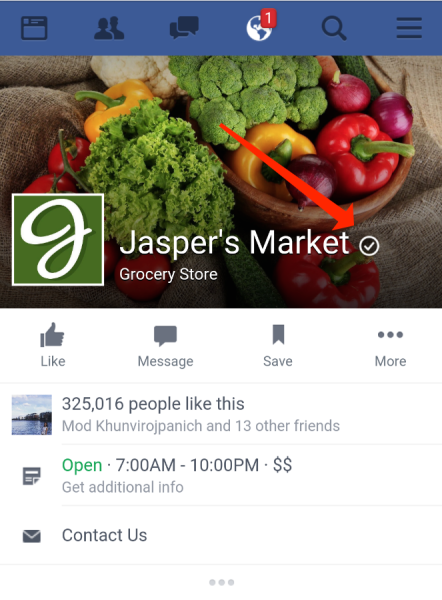 Not too long ago it was Facebook Beacons and now it’s Facebook Badges. In October, Facebook announced that businesses can now give their Facebook page an official stamp of authenticity. The badges, or gray check marks that differentiate them from the blue checks displayed on verified pages for celebrities, public figures, sports teams and other media and entertainment organizations, are available for businesses with a physical location. The badges will display in Facebook search results and pages in the usual way. The idea behind the badges is that they will help people identify and engage with authentic brands and Verified Pages will also show up higher in search results. Check out Martin Beck’s article on Marketing Land then call us at 800.536.6637, or click and let’s talk about helping you create authentic engagement with your audience.